Third party products or offers may be included in our website according to our discretion. 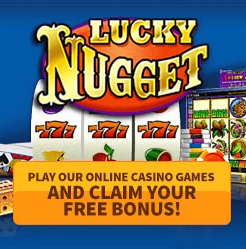 Note that these third party sites have separate and independent privacy policies; The Lucky Casinos claims no responsibility or liability for the content and activities found in these sites. Nevertheless, we seek to protect the integrity of our site and welcome feedback about these external sites. The Lucky Casinos is in compliance with the requirements of COPPA (Children’s Online Privacy Protection Act). Hence, we do not collect information from anyone under 13 years of age. Our website, products and services are all aimed towards people who are at least 13 years or older.